What: A fast food service restaurant (i.e. you go up to the counter to order your food and they call your number when your food is ready). They offer Soups, Salads, and Sandwiches with fresh ingredients, made fresh daily. Where: This particular location is located in Stevenson’s Ranch, CA. However, they offer other locations in San Diego, CA, San Luis Obispo, CA, Ventura, CA, Oxnard, CA, and Agoura Hills, CA. Why (my review): This happens to be one of my favorite spots for a hearty vegetarian salad. 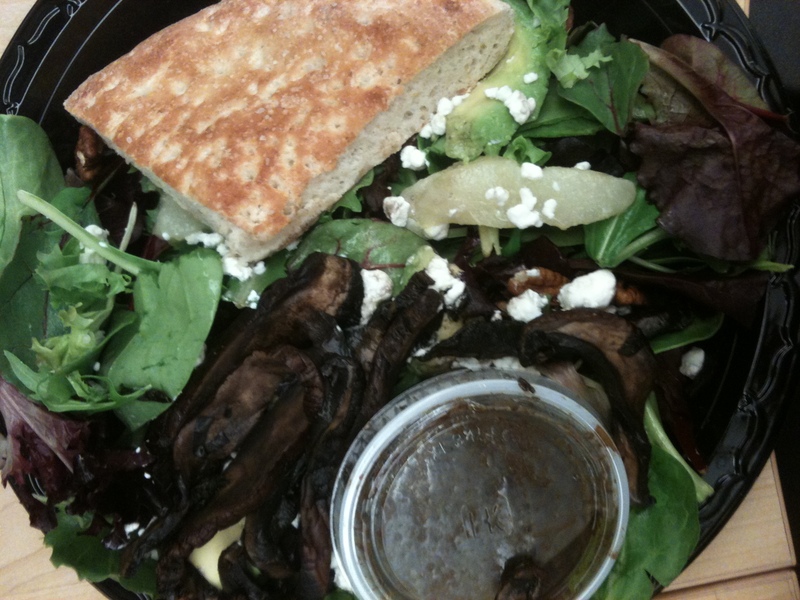 I order steamed portobello mushroom in replace of chicken on their Urbane Café Salad. They make their bread fresh on the spot and its served on the side of each salad or a part of their freshly prepared sandwiches. The service is very quick, even during their busiest times. One time I ordered my favorite salad and I got half way to work and realized that they gave me a chicken salad. So I turned around to exchange my order and the manager was helping in the kitchen and gave me a free lunch coupon for my next visit. I was pretty angry at first but this shows that they really care about their customers. Additionally, for the quality of the meal, the prices are very reasonable!